"Chill out a bit more. But do what I did - I said yes a lot. I put myself in the place where good things could happen. Be fearless. Be inquisitive. Trust your instinct. Just say yes. Have a bias for action." 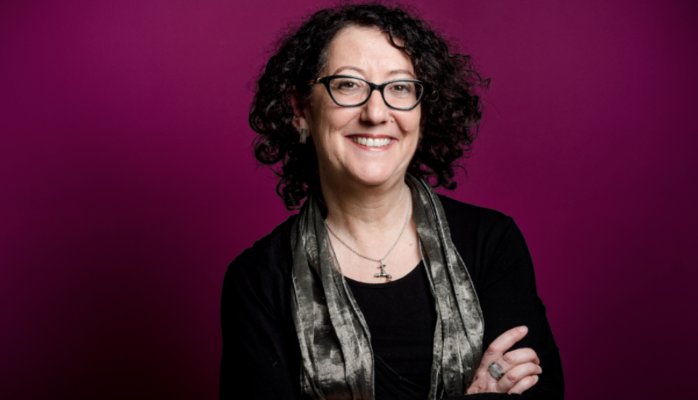 Suzanne Biegel is the Founder of Catalyst at Large Ltd and now Women Effect, with more than 25 years experience as an entrepreneur, social impact angel, venture investor, philanthropist, board member and hands on operational manager. She has been deploying her own portfolio with a gender lens for more than 15 years and has been an active field builder of gender lens investing for the last 8. 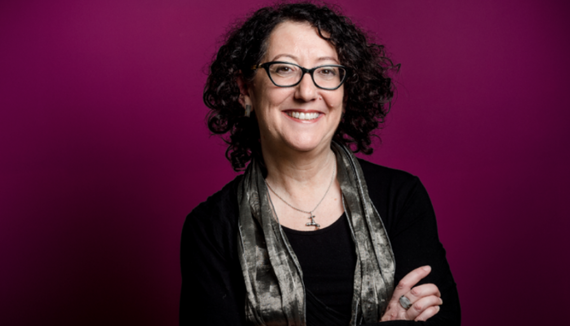 She's a senior advisor at the Criterion Institute, an alumna of Penn and Wharton and serves in a number of advisory and board roles. Anita Roddick, founder of the Body Shop is one of my absolute role models. I really admire that she started and built her business from nothing, with strong ethical and social values. She was accountable to her stakeholders yet always did it by being herself. She was wild, crazy and ambitious in leading her business and also took the lead in the entrepreneurship space. She built a great business with social values for 14 years. My greatest achievement has been building our business, IEC (Internal and External Communication), with Alexandra Rand (the founder) in the '90's in the e-learning space. For me it's hard to top that experience. I am proud of the business we created, our culture and the extraordinary people we worked with. We had the chance to do our best work in the industry and show people that you can do business in a different way, and bring your best self to work. For me, it has been the needing to show up sometimes in a very male-oriented environment and walk that thin line between being myself and 'one of the guys'. I know I wanted to achieve great things as a business and be part of an environment, where it's about who shows up more confident, shows more bravado and is there to out-do the next person. I know I'm a strong businessperson, but I didn't want to play the 'macho' game I sometimes had to play. I am happily married and sometimes, to be an entrepreneur means being switched on 24/7 trumps everything else in your life. I sometimes don't take as good care of relationships, family and personal relationships as I'd like. I think it is especially hard for driven businesswomen to balance that desire to have your partner be as important, when the business can be much louder. Your relationship needs as much care and feeding as your business. You need to be there for your partner too. When people have kids, people tend to give them a 'pass' because 'she's got a kid'. But if you don't have children, you need to put your attention on your partner. I can't relate to the pull between kids and having a business, so sometimes it is easier for me. I don't think this is uniquely a 'woman's thing', but it does often fall on women. Resilience, determination and obsessiveness. One of my favourite commercials is about the Lexus, where they talk about 'the relentless pursuit of perfection'. I relate to that, but it's not healthy to try to be perfect all the time. Being relentless pays off and has brought me far. That willingness to keep going and trying to get around problems, has really helped me. I ask a lot of questions, brainstorm with others to figure things out and am a relentless learner. I have accomplished a lot and am always learning. I am conscious of what I don't know and that my view of the world may need refreshing. We can always learn from anyone. Everyone I meet, has benefitted me in some way. I do not just assume I know it all. I'm generous with my contacts, knowledge and experience as I believe that when you are generous, you get it back 10 times over. We are in a 'relationship economy'. I really believe in building relationships and that plays out in so many different ways. That investor who turned you down, could have a brother who is a billionaire; the person who was awful to you may have had a personal tragedy. As an entrepreneur, if you really pay attention to relationships, it goes far beyond any transactions, so that when you need to ask a favour, others will help you. If you've got a good core relationship, good things can happen. I was young when I set up the business that I helped to grow. I would love to have had the wisdom I have now about understanding what different kinds of people need to thrive. I was so focused on working, to do the best work and have happy clients that loved us, that sometimes I let that trump my team. You have to be balanced in how much you give your team and your clients. If I could turn back the clock, I would not have stressed out as much. I had a lot of responsibility on my shoulders from a young age. That stressed me out and was not good for my health or relationships. I wish I could get that as a gift, to learn to balance when it's worth stressing myself out about something and when it's not. I can move mountains when I'm focused. I also wish I had paid attention to mindfulness in the workplace earlier - that would have helped me out to be clear, determined, calmer. Arianna Huffington shares a lot of wisdom about the basic things like taking care of ourselves, getting enough sleep, showing vulnerability and being candid and transparent about when things are tough. I didn't know I could do that in my career - show who I really am and create a different relationship with my team and family. If you are too 'polished' people wonder about who you really are as a person. It's especially hard for women, where it's a bit like being ping-pong balls - be who you are, yet be strong, confident and don't let people know you have a problem. Make sure you are really thinking about whether you are solving a problem that's real, or something you would really like to see happen. You need to see if there really is a market for it. Be confident you are the right person to achieve some of this. Be aware which pieces you are not so good at and always be thinking about, 'what is the team I need around me?' How much of this can I do, with the right coaching vs giving it to another person to do? Know about your market, the offering, your team, the numbers (you've got to embrace them, whether you like them or not). You need to know what makes the business tick from a financial perspective. Be ambitious and realistic. I'm a practical idealist and all entrepreneurs need to be a bit like that. Driven. Inspirational. Really enthusiastic and believing that things can happen. People definitely know I care, and I'm all in, and I would not ask them to do something I wouldn't. Giving. On the other hand that can come out as too fast, too ambitious, not slowing down to smell the flowers, perhaps being too externally centric to our detriment sometimes. Not being relationship-oriented at times when I'm preoccupied. Chill out a bit more. But do what I did - I said yes a lot. I put myself in the place where good things could happen. Be fearless. Be inquisitive. Trust your instinct. Just say yes. Have a bias for action. Sleep. Vibrant delightful functioning marketplaces and cool communications spaces where good stuff really happens. And that we were able to hold ourselves accountable to stakeholders that mattered. AND we make some MONEY.